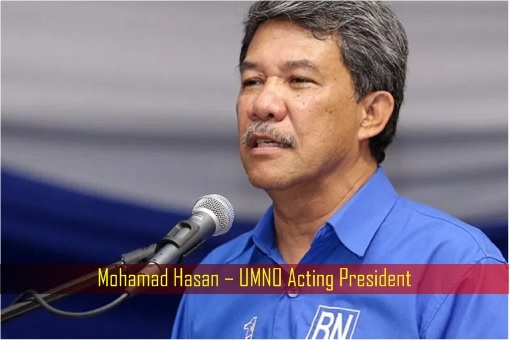 The RM10 million he remitted through a money changer a decade ago was for the purchase of an apartment in London – claims former Negeri Sembilan Mentri Besar (Chief Minister) Mohamad Hasan. It appears his past has come back to haunt the Barisan Nasional candidate fighting for the Rantau by-election. Popularly known as “Tok Mat”, the UMNO deputy president, who is also discharging the duties of party president, said he welcomed any fresh investigation into the case by the authorities. Well, that was the standard answers offered by UMNO crooks like Najib Razak, Zahid Hamidi, Abdul Azeez Abdul Rahim and Tengku Adnan Tengku Mansor – before the authorities grilled them. Clearly, Mohamad Hasan wasn’t impressed that his 10-year-old dark secret is being raised again during the present critical political campaign. He has been going from house to house reminding voters of all the great things he had done when he was the chief minister of the state. He is expected to win the election, but he would still require non-Muslim votes. The pressure is on Tok Mat to secure victory because defeat would deliver a great blow to himself as well as the UMNO party he’s leading now. His victory in the 14th General Election last year was declared null and void by the Federal Court because the opposition party was “prohibited” from entering the nomination centre to submit nomination papers – a cheap and despicable trick. As calls for his hanky-panky RM10 million scandal to be investigated grows, Mohamad Hasan told reporters – “I’ve been proven innocent.” He said the matter should not have been brought up because according to him, both Malaysian Anti-Corruption Commission (MACC) and the Attorney General Chambers had cleared him of any wrongdoing. Sure, that was precisely what former Prime Minister Najib Razak had trumpeted too, that the MACC and the Attorney General had cleared him of any wrongdoing, despite the U.S.-DOJ investigation results that say over US$4.5 billion was misappropriated from the 1MDB fund, with some of the money used to buy the private jet, a super yacht, Picasso paintings, jewellery and real estate. After the mighty Barisan Nasional government lost the federal government in the last May election, bringing along with it the Negeri Sembilan, its first defeat since independence in 1957, the crooked Najib has been slapped with 42 charges of criminal breach of trust (CBT), money laundering and abuse of power. And here’s why new investigations should be re-opened against Tok Mat, regardless whether he wins or loses in Rantau. In 2013, the disgraced Nancy Shukri, Minister in the Prime Minister’s Department of Najib administration, told the Parliament that no charges would be brought against Negri Sembilan Chief Minister Mohamad Hasan. Shukri said – “The AG’s Office has scrutinised the details of the investigation. The RM10 million was not the product of corruption. The AG’s Office was of the opinion that it was more appropriate to take action on the moneychanger.” Yes, stop laughing at the hilarious excuse used to protect a corrupt warlord belonging to an extremely corrupt regime. Instead of punishing Tok Mat for violating banking laws when he transferred RM10 million to London through the money-changer in 2008, the poor money-changer was prosecuted instead. Curiously, Nancy Shukri did not explain why the Negeri Sembilan Menteri Besar had wanted to transfer the money overseas through a currency-exchange company although it was clearly illegal. Damn, if only Najib Razak knew that transferring ill-gotten US$681 million (RM2.6 billion) through money-changer will not entitle him to any money laundering charges. Tok Mat, who became the state’s chief minister in 2004, used to shamelessly tell all and sundry that he has wealth that can last for four generations so he did not need to be corrupted. 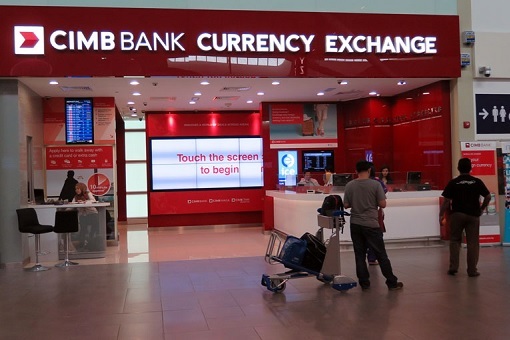 First caught in the scandal back in 2009, Tok Mat was exposed using a currency-exchange company – Salamath Ali Money Changer Sdn Bhd – to transfer the dubious RM10 million in March 2008 to London. Curiously, there was a complete blackout by the government-controlled English and Malay language mainstream news media about the scandal ten years ago. Even then, the scandal was discovered by accident. 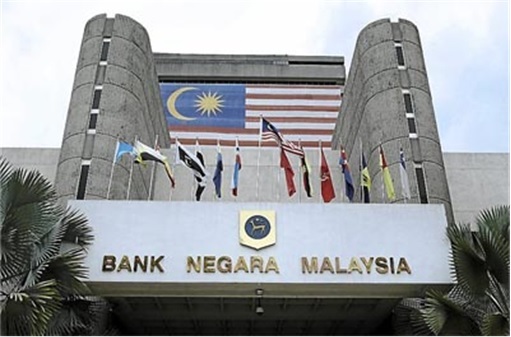 Mohamad Hasan’s name was exposed after Bank Negara Malaysia (Central Bank) revoked the licences of the three biggest moneychangers in the country for breaching the Money-Changing Act 1998, including Salamath Ali, without realising that the nationwide operation would open a can of worms on remittances overseas involving millions by several high-profile figures. Back then, one of the popular reasons moneychangers was sought as a “channel” for large transactions, which may involve dirty money, was that the identity of the owners of the money will not appear anywhere. In contrast, if an individual remit money via the bank or remittance agent, his identity and purpose of the transfer of funds will have to be disclosed. So the question is why did a clean and honest leader like Mohamad Hasan a.k.a. 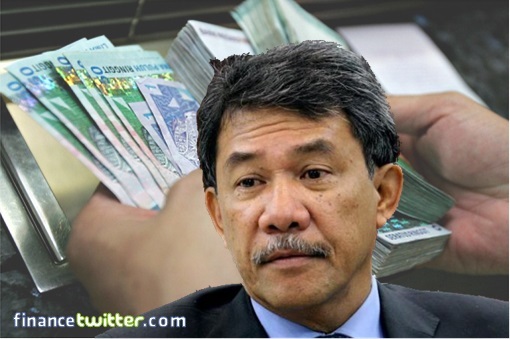 Tok Mat preferred using a money changer – instead of banks – to transfer RM10 million to London? Why took all the trouble of hiding his identity and purpose of the transfer, if indeed he had nothing to hide at all? Would it not be easier and transparent to transfer his money through local banks? Had there been no operation to clamp down on money changers by the Central Bank in 2009, Tok Mat’s little secret of hiding behind anonymous in money laundering would not be known until today. In fact, he would probably have continued doing so until the corrupt regime of Barisan Nasional collapsed on May 9, 2018. And it’s still unknown for how long he had been doing so prior to the 2008 clampdown. Sure, he was previously the Managing Director of Cycle & Carriage. But that reason alone does not mean all his money is clean. At least, his action of using a money changer to transfer money speaks volumes that some part of his wealth was ill-gotten money. You can’t claim to be a virgin after being caught bonking a prostitute in the brothel house, can you? While Salamath Ali was found to have contravened the Money-Changing Act for facilitating the transfer, the man who instructed the transfer of the RM10 million walked away scot-free. 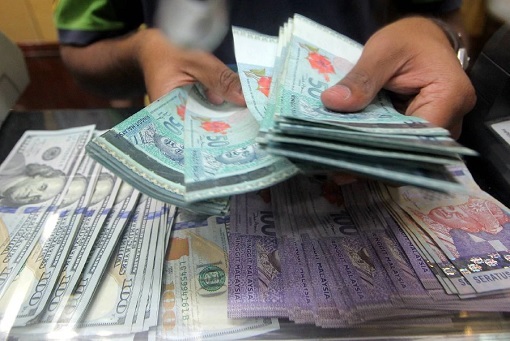 Now the new government of Mahathir has to answer a simple question – will the authorities such as the police and MACC re-open the case for possibility of money laundering? More importantly, did Tok Mat declare, let alone pay, his income tax on the RM10 million incomes, the money he had secretly transferred to London? And why did it take the former Negeri Sembilan Menteri Besar (Chief Minister) a mind-boggling 10 years to explain the purpose of the money he sent to London, of which he now claims was for the purchase of an apartment in Britain? The racist Tok Mat, famously said Malays are being made to feel like visitors in their own country as there are too many “penumpang (squatters, presumably ethnic Chinese and ethnic Indian)” in Parliament, should also be investigated for the missing RM30.65 million in proceeds from FELCRA meant for the “eKasih” welfare fund. But that’s just the tip of the iceberg of corruption involving the state of Negeri Sembilan. All just like Dr M is forgiven. He’s just won with a mighty whopping huge majority.